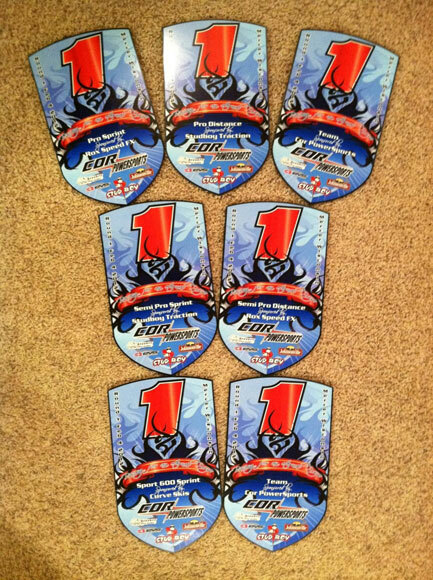 In what has to be Yamaha’s best day of snowmobile racing in years, Yamaha FX Nytro snowmobiles won a perfect seven out of seven Sport, Semi-Pro and Pro events they entered in a great day of cross-country racing in Mercer, Wis. on Sat., Feb. 4. Yamaha snowmobile R&D engineer, Andy Storbeck, won the Sprint and Distance races in the amateur Sport category, Ben Lindbom swept the same events in Semi Pro, and Nathan Titus topped both events in the Pro category. Making the day even better, Titus later teamed up with semi-pro racer Jake Jorgenson to win the team race. Thanks to varying weather and ground conditions, the long 7.5-mile course at Trude Lake proved an especially tricky one. While the course was run almost entirely on the lake surface, it featured speeds from just above idle to over 100 mph in some places – along with plenty of obstacles and challenges. For instance, the lake surface had packed snow atop thick ice, which sprouted whoops and berms as daytime temperatures climbed and an impressive 117 sleds tackled the course. At the lakeside, frozen marshland warmed up during the day to expose devious stumps and jumps. “In some places, standing water atop the ice made the sleds look more like WaveRunners as they planed across it,” Yamaha says in a release. Racing started at 10 AM, with Sprint races scheduled for three to four laps apiece and Distance races slated for seven to eight laps each. Timing was old-school, with two sets of double horseshoe turns carved into the course so scorers could slow down and then record each sled as it passed. One by one, Storbeck, Lindbom and Titus started racking up Yamaha victories, ultimately amassing an impressive tally of six class wins, while freestyler Matt “Tinger” Tingstad added a Pro podium of his own on a borrowed FX Nytro after his rival two-stroke sled broke. The team race added a final dose of excitement as drivers, upon finishing their laps, parked their sleds and ran 15 yards through the staging area to tag their partners. Titus drew the Yamaha team’s first leg, putting his FX Nytro into the lead over two laps and then making the sprint to tag Jorgenson. With daylight fleeting at that point, Jorgenson only got a single lap in before officials wisely waved the checkers. 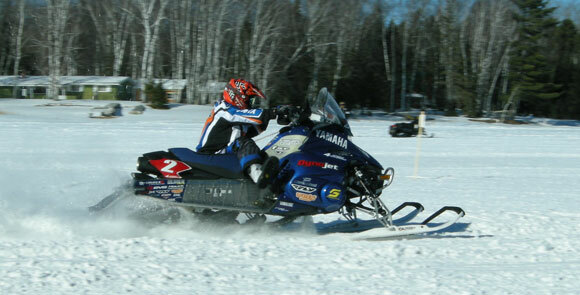 But that was enough to give Yamaha its lucky seventh win on a memorable day of cross-country snowmobile racing.